When the Space Shuttle Challenger exploded on January 28, 1986, millions of Americans became bound together in a single, historic moment. Many still vividly remember exactly where they were and what they were doing when they heard about the tragedy. Diane Vaughan recreates the steps leading up to that fateful decision, contradicting conventional interpretations to prove that what occurred at NASA was not skullduggery or misconduct but a disastrous mistake. Why did NASA managers, who not only had all the information prior to the launch but also were warned against it, decide to proceed? In retelling how the decision unfolded through the eyes of the managers and the engineers, Vaughan uncovers an incremental descent into poor judgment, supported by a culture of high-risk technology. She reveals how and why NASA insiders, when repeatedly faced with evidence that something was wrong, normalized the deviance so that it became acceptable to them. 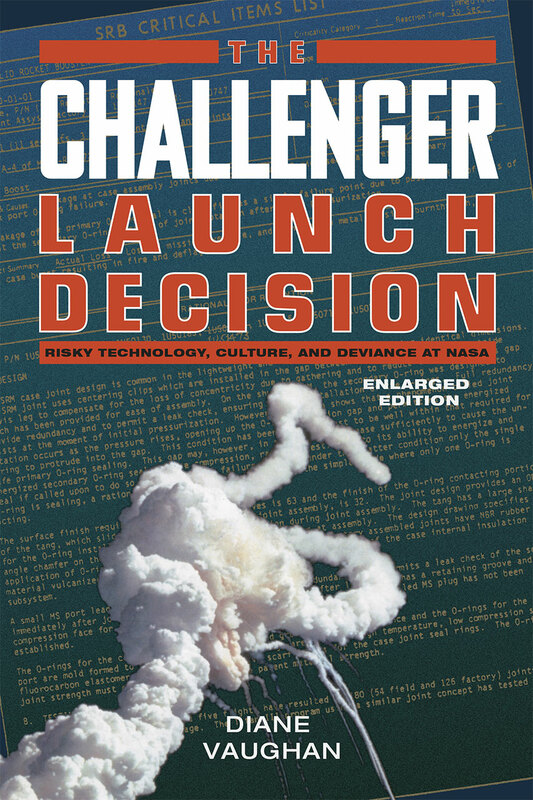 In a new preface, Vaughan reveals the ramifications for this book and for her when a similar decision-making process brought down NASA's Space Shuttle Columbia in 2003.